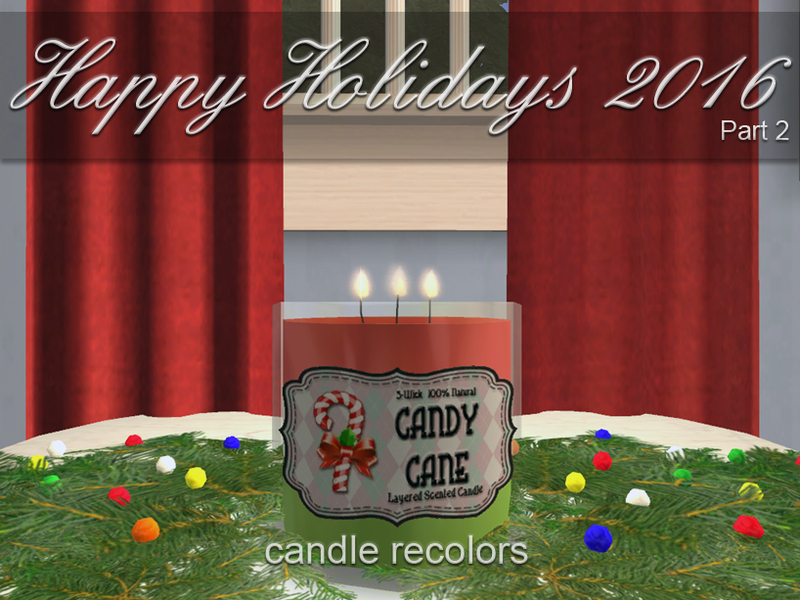 Part 2 is short and sweet: 8 holiday themed recolors of my 3-wick beeswax candle - all recolors are meant to be layered candles, hopefully the layers match the scent. The mesh is NOT included so be sure to go get it! SimPE, PhotoShop CS2 and while I'd like to thank Google for it's assistance - it was amazing UNhelpful when I was looking for scent and layer color ideas! 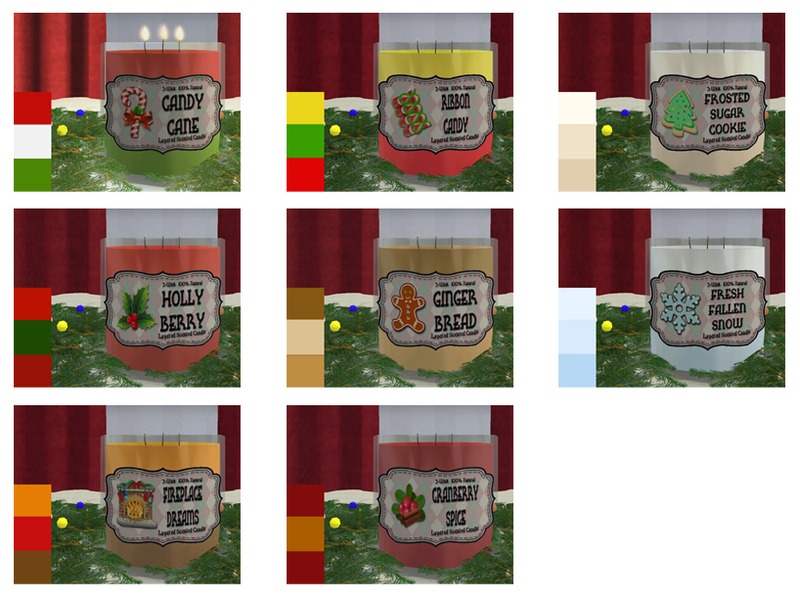 MLC-3WickCandleCHRISTMASrecolors.rar | Description: Recolors only - mesh NOT included so be sure you go get it!